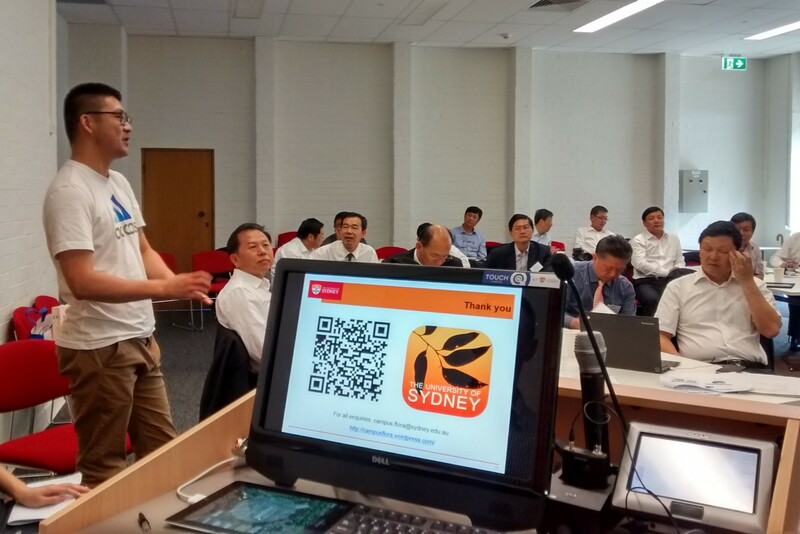 The creators of the CampusFlora app were invited by the International Leaders Programme at the Office of Global Engagement, University of Sydney, to present their app (http://goo.gl/swtg68) to a Delegation of Chinese University Leaders from Central and Western Region China. 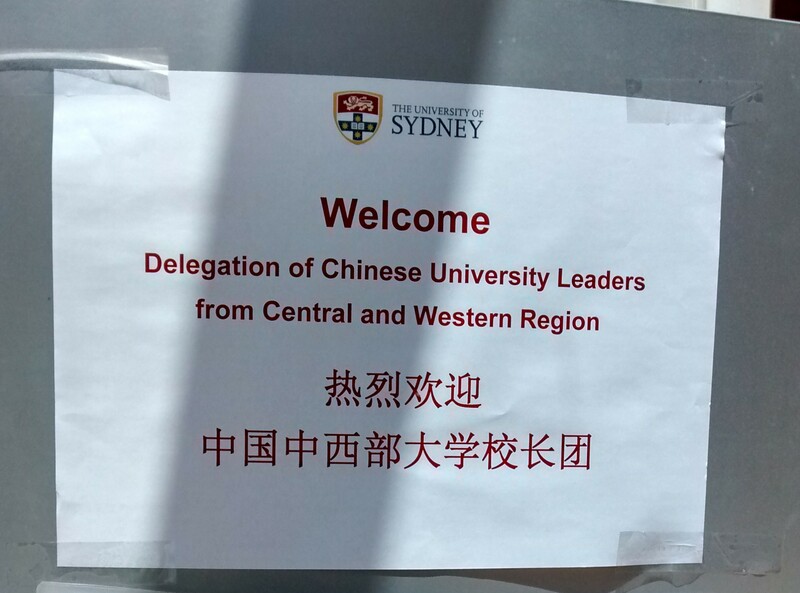 The University Leaders included university senior management as well as senior staff and representatives from the PRC Ministry of Education and National Academy of Education Administration (The University of Sydney’s key partner). 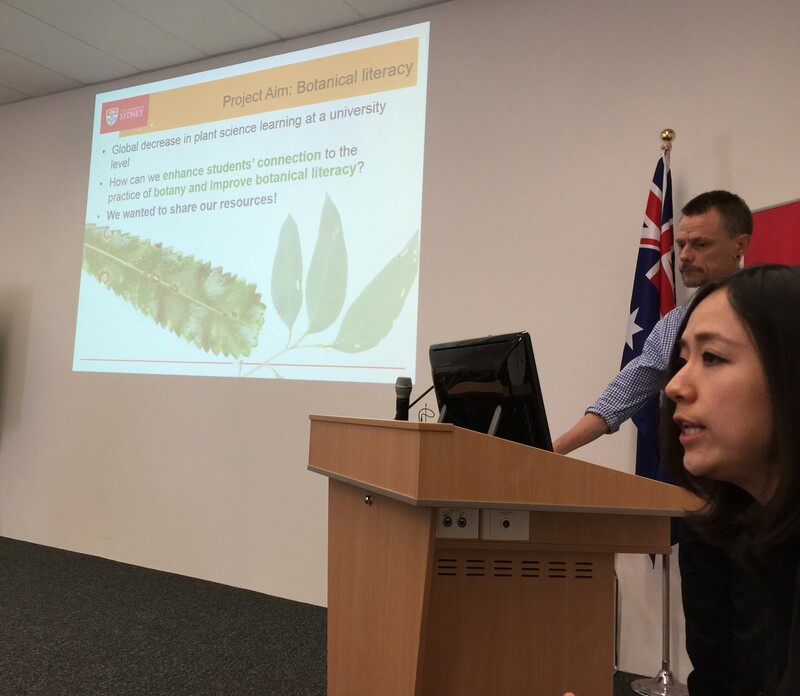 The presentation was part of a two-day executive programme showcasing the latest development in teaching, learning, research and management in Australian higher education. Welcome at the Office for Global Engagement, The University of Sydney. Delegation of Chinese University Leaders from Central and Western Region China. 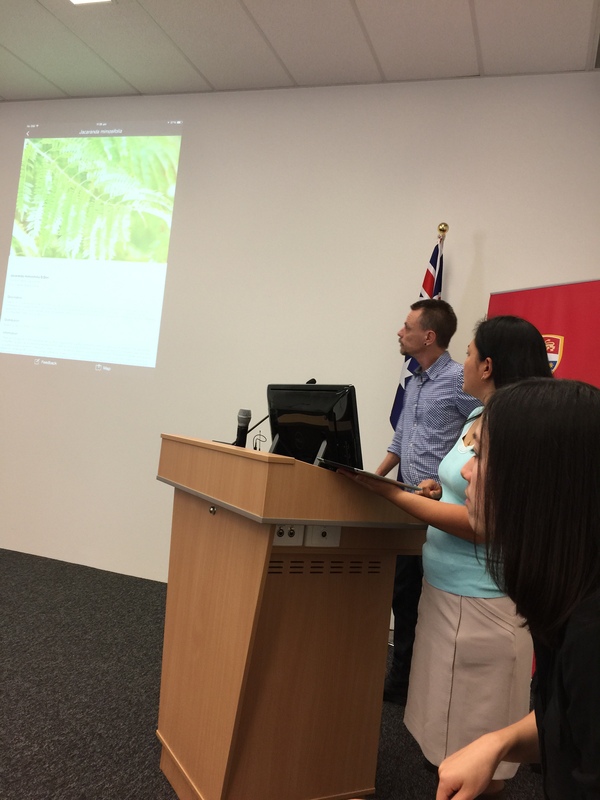 On behalf of the team, Dr Yvonne Davila, Dr Matthew Pye and Mr Shawn Wang explained the development of the app, focusing on the collaboration with students and the development of students’ connection with botany and botanical literacy. The presentation was translated by Dora. 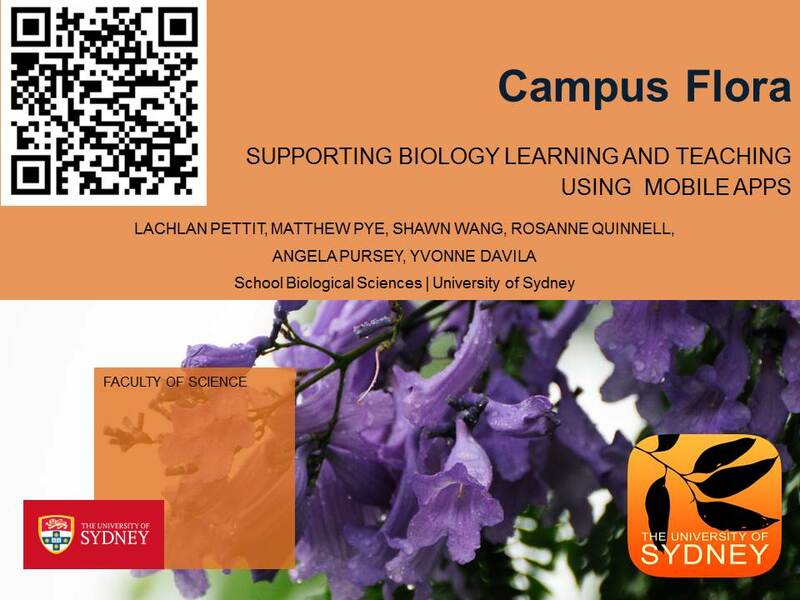 The presentation also highlighted the multiple uses of the app for teaching and learning in undergraduate botany and ecology on campus, and provided a live demonstration of the app showcasing the famous Jacaranda tree in the Main Quad. Live demonstration of CampusFlora app. The presentation closed with a summary of the plans to expand the app to include more trails of interest to other disciplines (e.g. 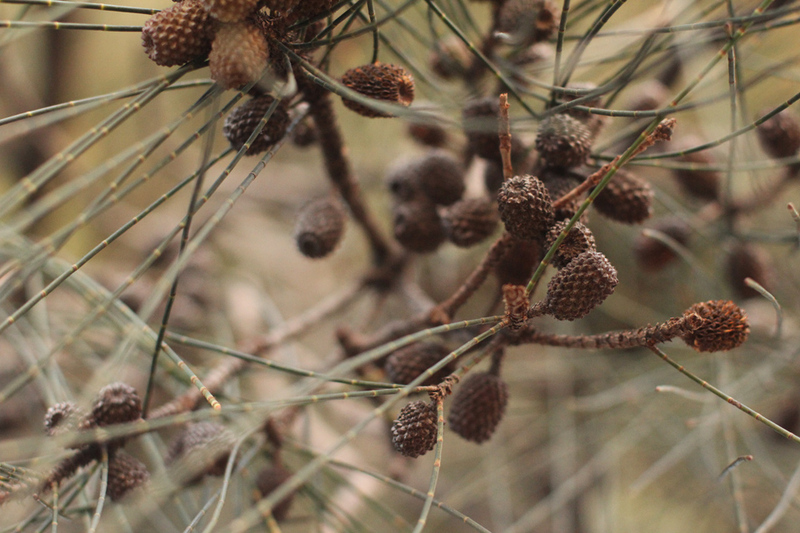 medicinal plants, indigenous plants) and to include other Sydney campuses (Darlington, Warrah Field Station). Campus Flora is also the first of many Campus Floras we hope to develop in conjunction with other institutions across the country, creating a network of Campus Floras. The focus on students as collaborators and co-creators of knowledge is central and ongoing to the expansion and success of the app. Dr Yvonne Davila and Dr Matt Pye. Shawn Wang answers questions from delegates about the development of the app. 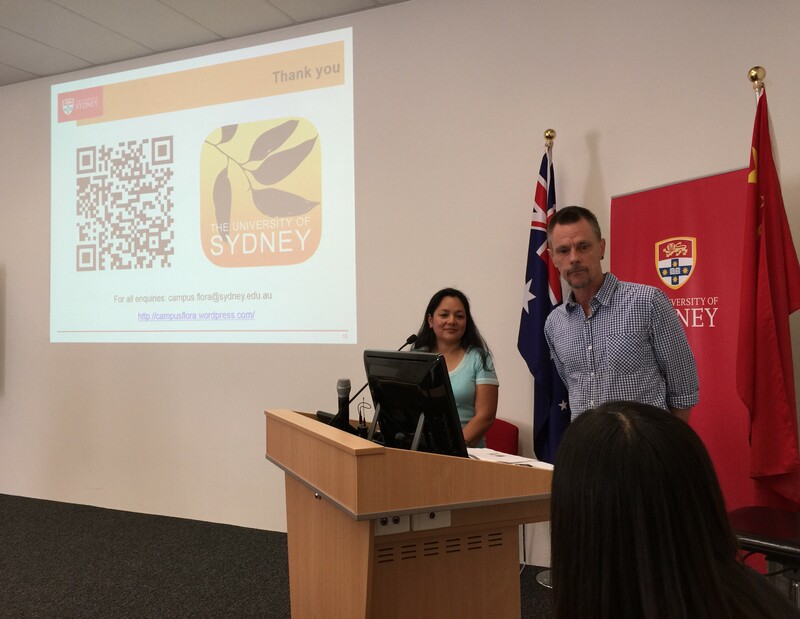 Thanks to Shirley Xu, Manager of the International Leaders Program from the Office of Global Engagement, for the invitation and opportunity to present CampusFlora. 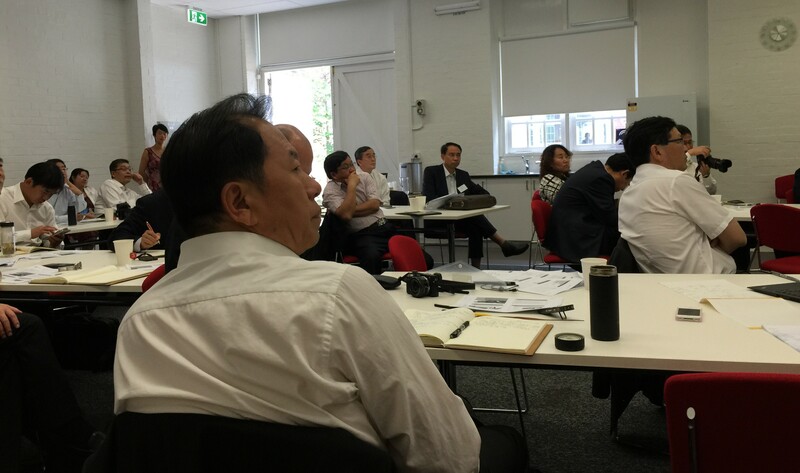 Location: Executive Programme for University Leaders from Central and Western China Region, developed by the International Leaders Programme at The University of Sydney. Written by Yvonne Davila. Photos by Yvonne Davila and Shawn Wang.